Your work environment deserves the same purposeful design and aesthetic as your living spaces. Let’s get together to make it happen. Working with an incredibly talented team of craftspeople, Hewn built out East Fork Pottery's retail space in Downtown Asheville. Completed November 2016. New storefront in downtown Asheville. 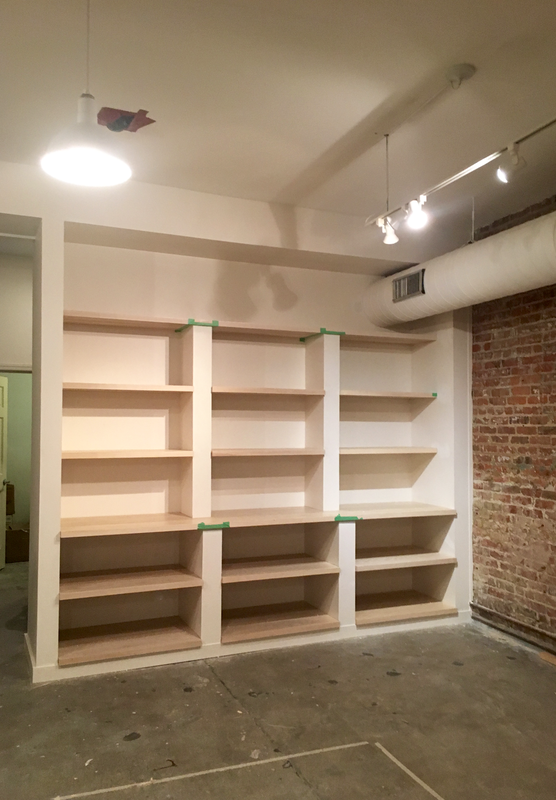 New storefront shelving built. Interior remodel for retail space. Interior remodel for retail space. UNDER CONSTRUCTION. 1600 sq ft addition to serve as an event space. Hewn completed the structural work to assist in creating an open and inviting floor plan for Izzy's West Asheville location. Interior remodel. More photos coming soon.